← 35 minutes of my life. 13°C, sunny with easterly breeze. Drawing: put something, anything between work and bed in the evening. Tiny A6 sketchbook with a cheap propelling pencil. The paper isn’t really this sallow. 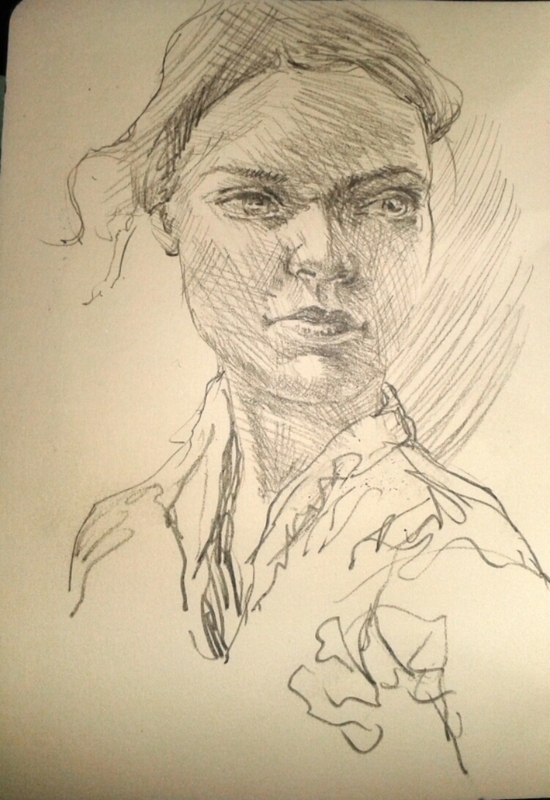 This entry was posted in drawing and tagged drawing, portrait, small sketchbook. Bookmark the permalink.